Vinegar is an acidic liquid produced through fermentation. Vinegar is used in cooking not only for its flavor qualities but also its chemical properties. Vinegar can be made from a variety of original ingredients, each lending its own unique flavors and qualities. Vinegar is made through the fermentation of ethanol alcohol. Any ingredient containing ethanol may be used to make vinegar, including distilled grain alcohol, wine, champagne, beer, cider and more. Bacteria are used to ferment (or break down) the ethanol into byproducts including acetic acid. This acetic acid is what makes vinegar unique, although it contains other substances including vitamins, minerals and flavor compounds. The bacterial culture used to ferment the ethanol is referred to as the "mother of vinegar." Pasteurized vinegar has been heat-treated to kill the "mother" culture, which can form a slime-like glob of cellulose in the vinegar. Most types of vinegar made for consumption have been pasteurized to prevent this slime from occurring since it can be unattractive to consumers. Stopping the bacteria via pasteurization also helps maintain product consistency. Varieties of vinegar that have not been pasteurized are often labeled as "raw." Vinegar has been used in cooking for thousands of years. The acidic nature of vinegar lends a sour or tart flavor to foods, which is desirable when balancing flavors. Vinegar is often used to balance creamy or fatty flavors as with mayonnaise and other salad dressings. The tartness helps brighten the flavors and prevents dishes from tasting or feeling too heavy. In addition to an acidic tartness, vinegar can provide other flavors. Balsamic vinegar is known for its slightly sweet flavor and malt vinegar has a classic, malted barley flavor. Fruit vinegar (like raspberry) are also very popular and have a distinctly fruity flavor. Vinegar can also be flavored after production with ingredients such as garlic or chile peppers. In addition to its flavor qualities, vinegar is used in a number of chemical reactions that take place during cooking and baking. Because of its low pH, vinegar is often used to activate the leavening power of baking soda. When baking soda is combined with an acid, it produces gas, which when trapped within dough or batter, creates a light, fluffy texture. Vinegar is often added to marinades not only for its flavor but also because the acid helps to tenderize the meat by breaking down its fibers. Vinegar can be kept indefinitely in a closed container at room temperature. 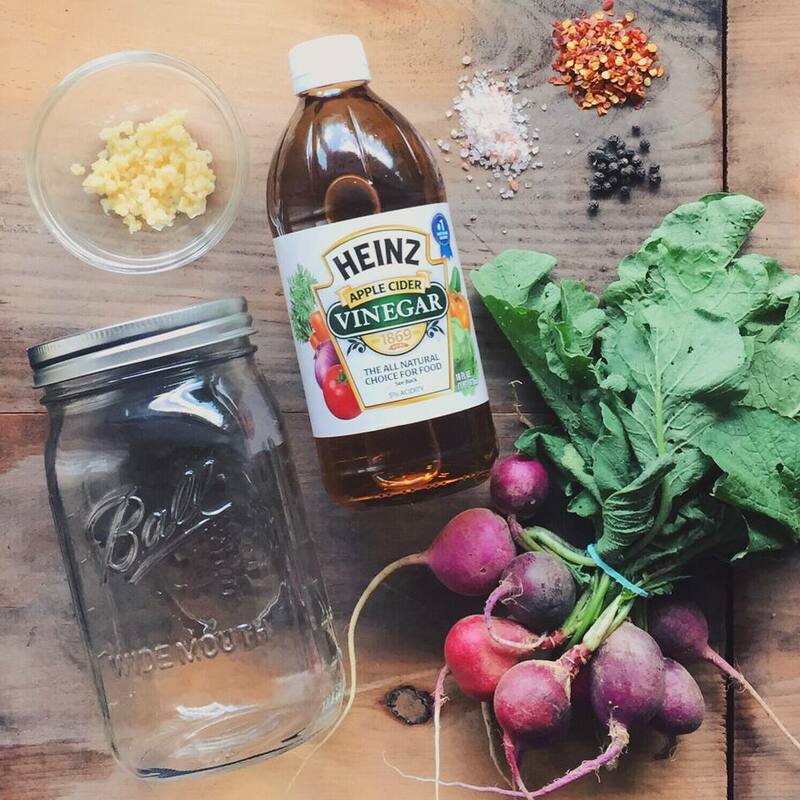 Because it is highly acidic, vinegar is naturally resistant to bacterial growth and spoilage. Unpasteurized vinegar will continue to experience growth of bacteria from the mother culture and will develop a large bacterial glob. Refrigerating unpasteurized vinegar will help slow this process. Malt vinegar contains gluten from barley. While distilled white vinegar made from alcohol distilled from grain has less than the gluten threshold amount of 20 parts per million, it is a concern for some people with celiac disease who are extremely sensitive. Other types of vinegar, such as wine vinegar and rice vinegar are gluten-free.